The permission to visit Balakot at Khyber Pakhtunkhwa state was granted to the international media along with defence personnel of various countries 43 days after the IAF retaliated for the Pulwama terror attack. The Pakistan authorities finally gave permission for the media to access the madrassa (Islamic school) grounds where the Indian Air Force (IAF) had conducted the Balakot airstrikes on 26 February 2019. The permission to visit the school area in Balakot at Khyber Pakhtunkhwa state was granted to the international media along with defence personnel of various countries 43 days after the IAF retaliated for the Pulwama terror attack orchestrated by the militant outfit Jaish-e-Mohammed (JeM). Although the Pakistani government had denied of any terror camps in the area and that the bombs dropped by the IAF fell on some isolated uninhabited area and no one was hurt in the attack, the Indian government reportedly said that Jaish camps in the area were destroyed in the air strike leaving a large number of casualties. The tour of the disputed site Balkaot was organised at a time when India is preparing for the Lok Sabha elections and the IAF airstrike has been a big boost for the ruling Bharatiya Janata Party (BJP) government led by Prime Minister Narendra Modi. According to the BBC report, the media and diplomats were taken to Balakot by the Pakistan army and were taken to three spots. The foreign media were directed to keep the questions short while interviewing the locals as there were some restrictions. 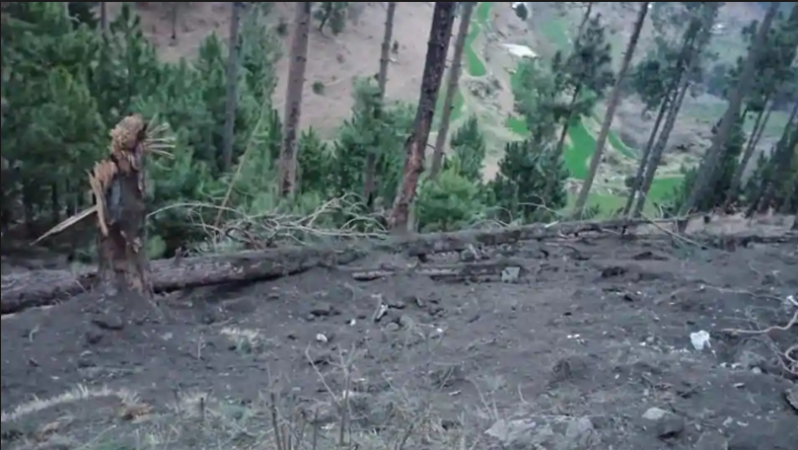 First, they were taken to the bombing site, where they saw some uprooted trees and a few craters, which Pakistan army claimed to be have made by the bombs released by the IAF. A house was also partially destroyed in the bombing, leaving a man injured. After this the media along with the diplomats were taken to the alleged Taleem-ul-Quran madrassa, located at a huge hilltop, the large madrassa building was still intact. The building has the capacity to facilitate almost 2,500 children. The media team saw almost 200 students reciting the Quran inside the prayer hall at the Islamic school. While interviewing some locals, they said that the madrassa was shut down after the IAF blasts as an emergency measure. A board in the madrassa read that the place was closed from February 27- March 14. 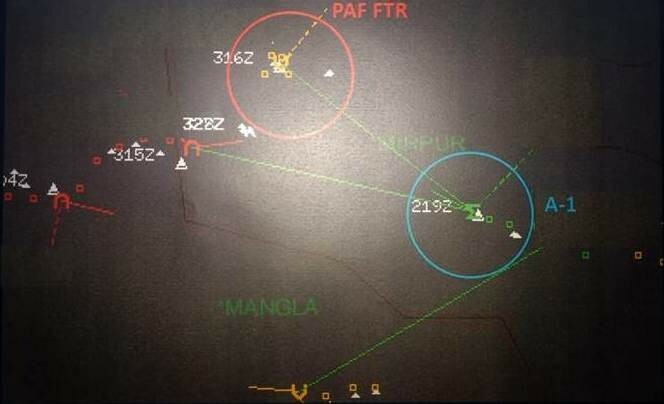 Major-General Asif Ghafoor, spokesperson for Pakistan Armed Forces tweeted a video showing the visit by the media, saying "A group of international media journalists mostly India based and Ambassadors & Defence Attachés of various countries in Pakistan visited impact site of 26 February Indian air violation near Jabba, Balakot. Saw the ground realities anti to Indian claims for themselves." Earlier, the media was restricted from visiting the bombing site and upon asking the officials on the delay for permitting the media to the premises, they said that the situation was unstable to take people there, due to which media was not allowed.